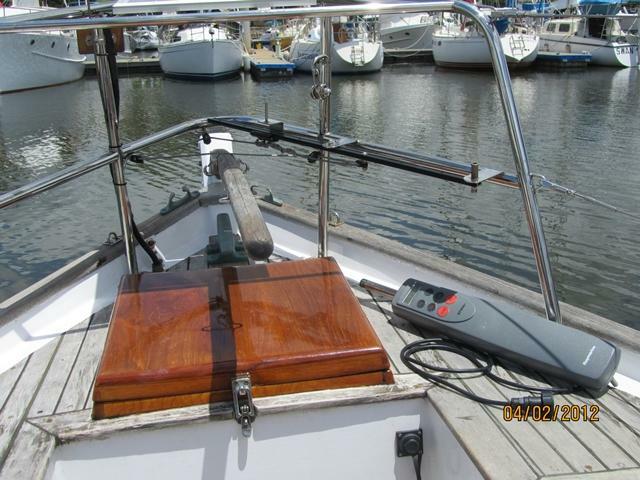 I often sail my Frances26, Tom Thumb, solo and wanted to install a tiller pilot. 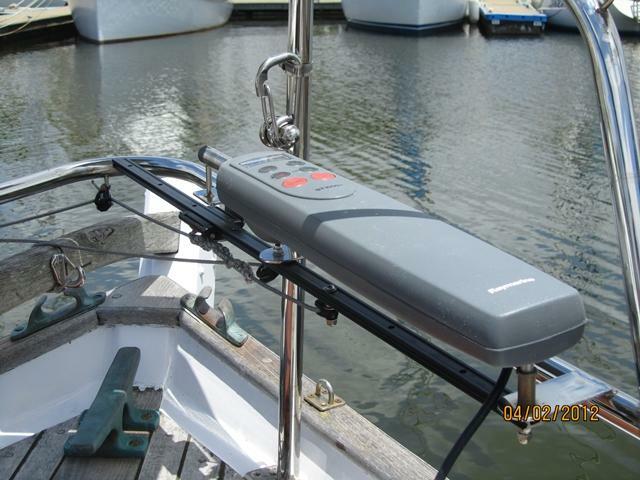 I purchased a Raymarine ST1000+ then found it difficult to install as her canoe stern was not wide enough for transverse mounting as described in the installation manual. 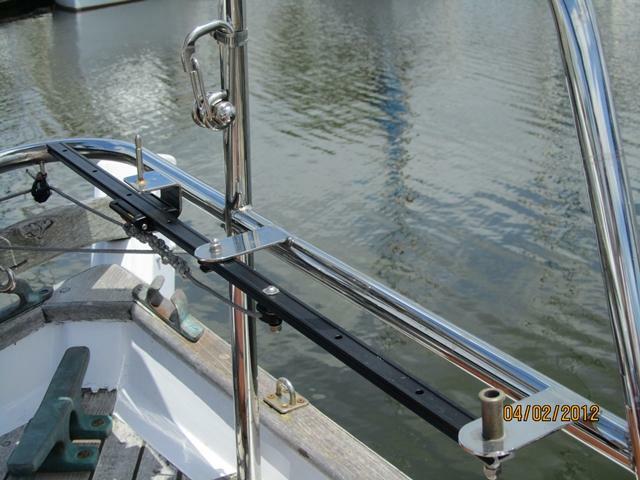 Enquiries with Raymarine and others only resulted in a suggestion for a bracket on the rudder post at right angles to the tiller with the unit hanging outside the boat. I didn't want to do this for reasons of ease of use, safety and aesthetics. I used a Ronstan Series 19 ball bearing car and traveler because I thought there would be some twisting forces on the traveler car. But I had a piece of 316 SS bent up to hold the tiller pin on the opposite side of the car to the shackle. All forces are in line and there don’t seem to be any twisting forces so I probably could have used the cheaper I-Beam system. 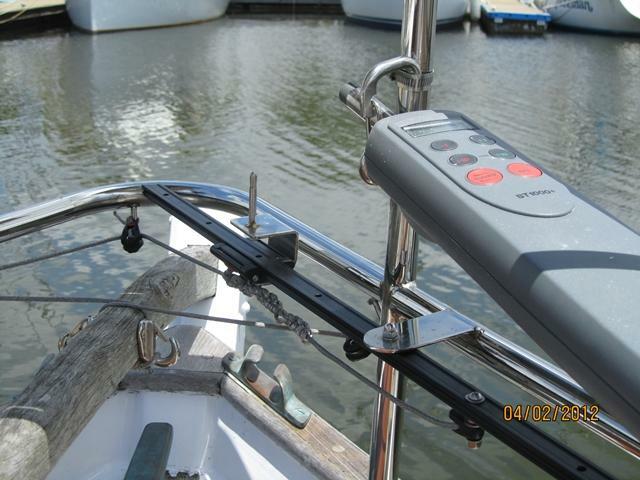 I mounted them upside down so that I could tie the lines to the shackle more easily. In retrospect I don’t think I needed to do this and it has exposed the ball bearings to the weather and they get a little sticky requiring occasional lubrication. 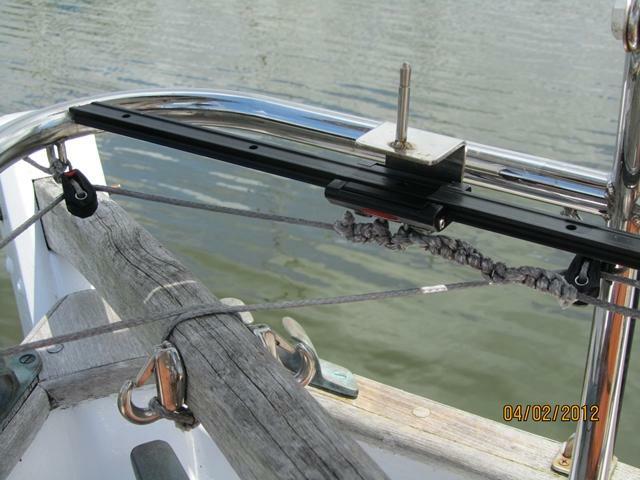 My original intention was to only connect the Dyneema lines when I intended to use the tiller pilot. But given that the units works so well and is so easy to use I leave it connected all the time and the traveler car moves backwards and forwards on the track as the tiller is pushed/pulled, whether I am using the tiller pilot or not.